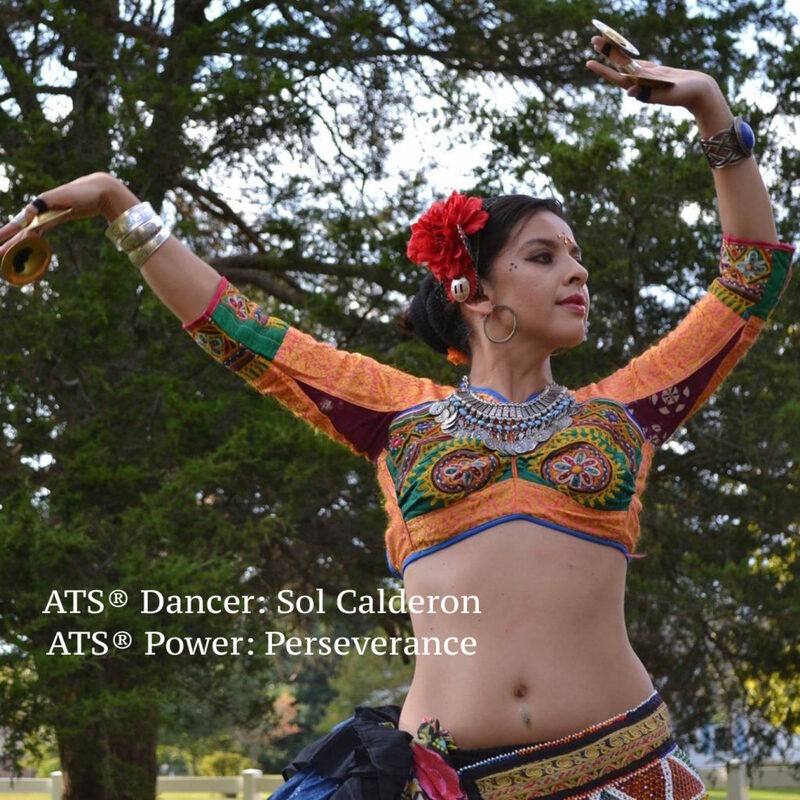 Sol’s ATS® Power is Perseverance. I started learning ATS through online classes and workshops. Since I started learning, I have continuously practiced. My love for ATS will help me reach my goals and someday join a tribe.